Well, my first week of training came to an end yesterday! Even though it wasn't exactly how I wanted it to be, I am still pleased with my performance and my times! I wasn't able to get my long run in, or my second plyometrics workout, but other than that, it was a great week! I ran a total of 12 miles this week. I did plyometrics on my 4 mile run day. I had planned on doing it on another day in between runs, but just couldn't fit it in! I'll have to plan more carefully for next week! On my long run day (the 5 miles which turned into 3 miles), I only made it to 3 miles. I was tired, not feeling well, and my legs were extremely sore from leg day! 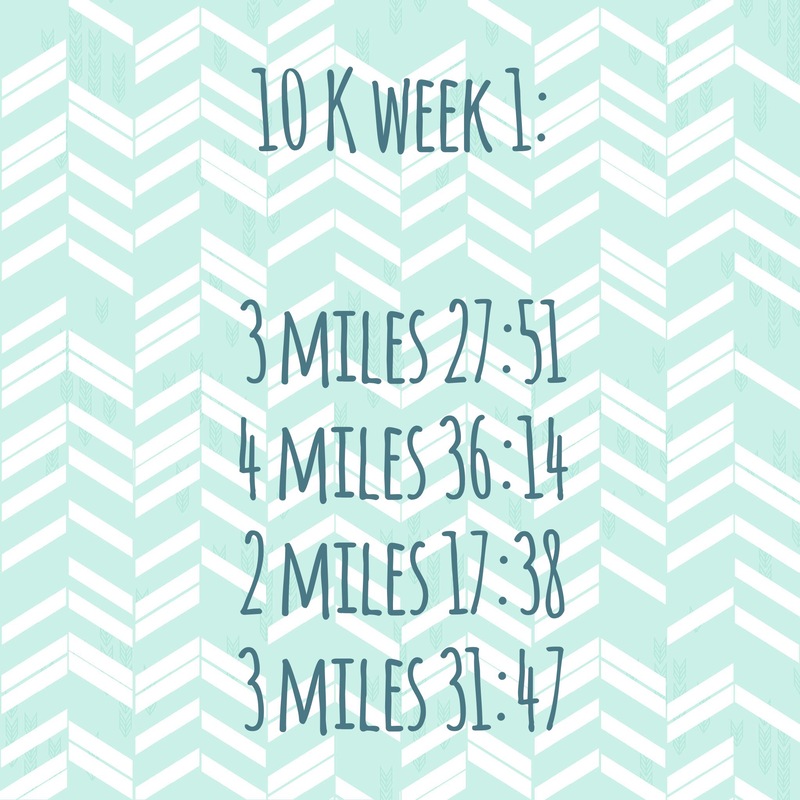 I'm disappointed that I couldn't do the 5 miles, but there is always this week to try again! I'm happy with how training has been going so far and can't wait to see what this week will bring! Stay tuned for my food and fitness plan post coming soon!